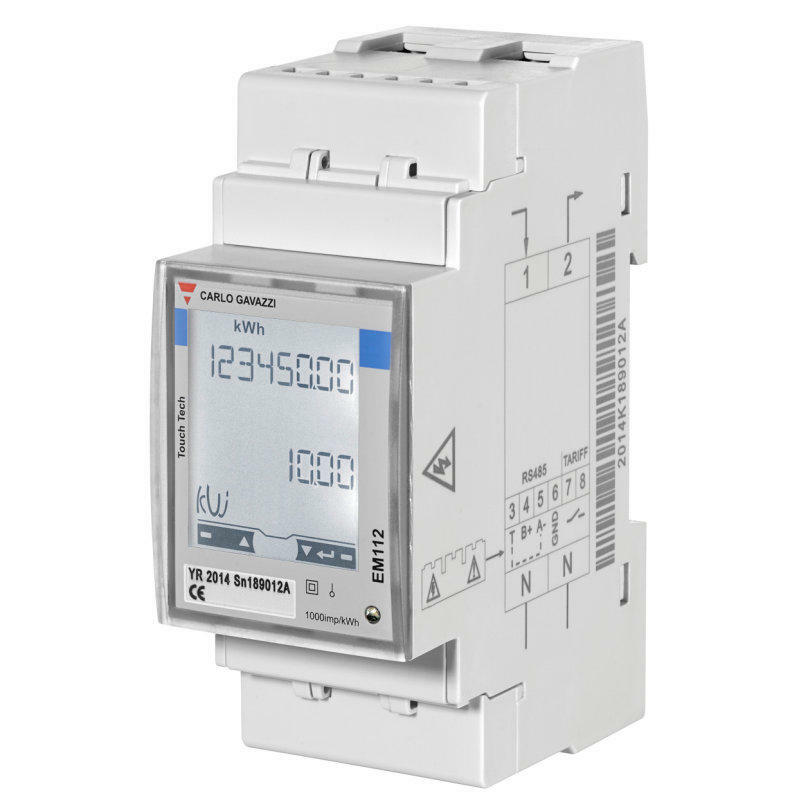 This entry level meter in the ABB A41 range is 4 modules wide and can be mounted on DIN Rail. Supporting up to an 80 Amp load, this MID approved meter has a host of available parameters to read, including Energy (kWh), Current (I), Voltage (V), Frequency (Hz), Power Factor (pf) and Active Power (W). 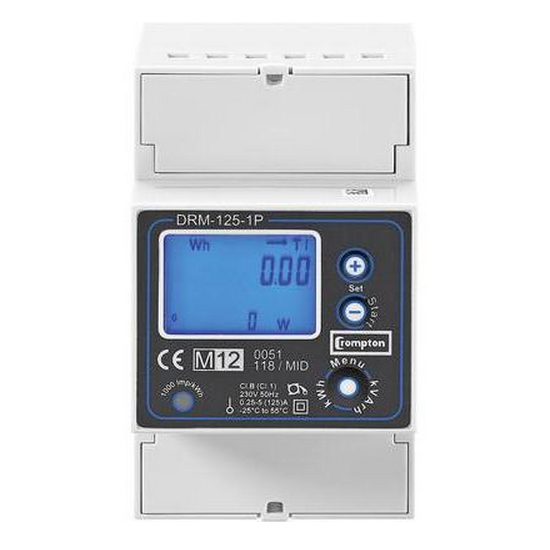 In addition this unit has 1 pulsed output that can be used to log kWh readings or as an alarm (which is easily configurable on the meter) connected by a relay.